Freedom First Remains Safe and Sound, Growing Steadily While Remaining Committed to Community Development. Improve the financial lives of our members. Increase the economic vitality and quality of life in our community. Be a leader in corporate governance. These reports are intended to make our business as transparent as possible to you, our member-owners. 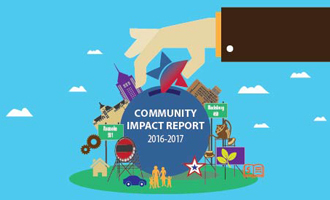 Our Community Impact Reports tell some of their stories and include the data that show year in and year out that achieving our mission makes a difference. Helping People Prosper—Helping Communities Thrive. Read all about it.